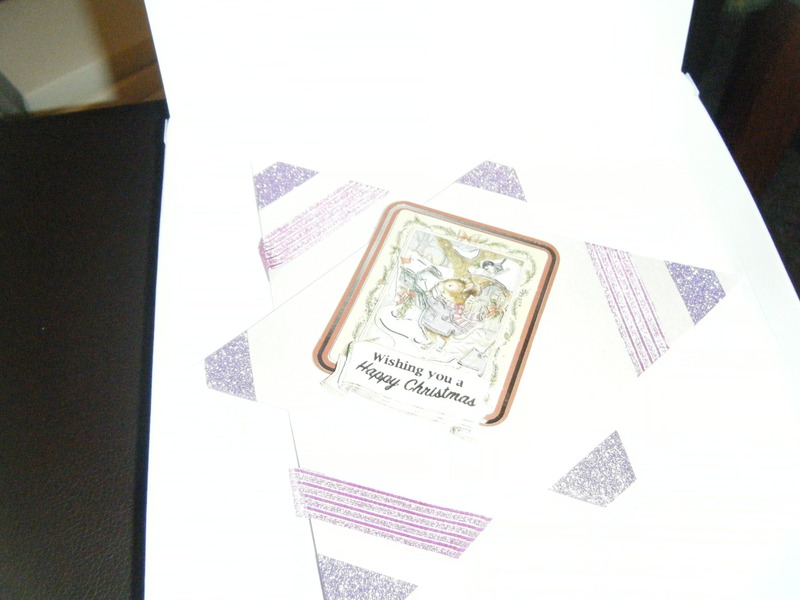 Handmade Decoupage Star Card In Box. Greeting Wishing You Happy Christmas. Decoupage Design Is Mouse Posting Card. Left Blank On Back Of Card For your Own Message.